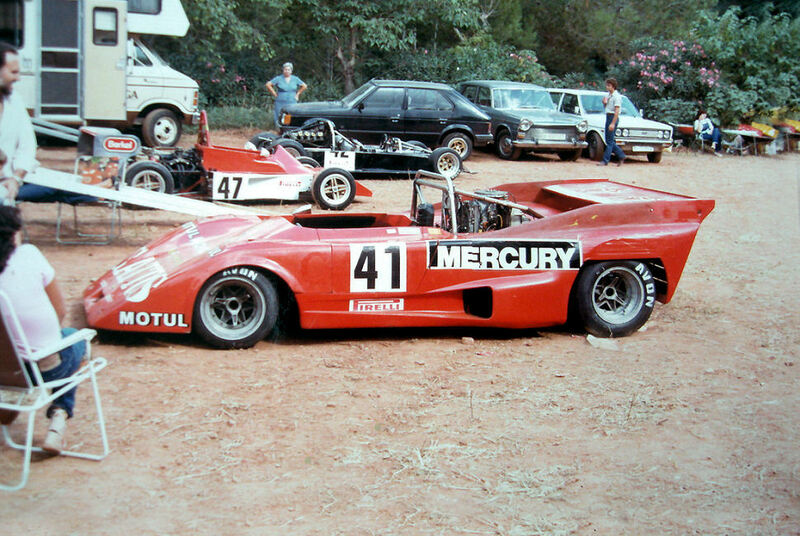 #KingOfTheMountain – The EFI Mercury V6 powered Lola T294. – Historic Motor Sport Central. 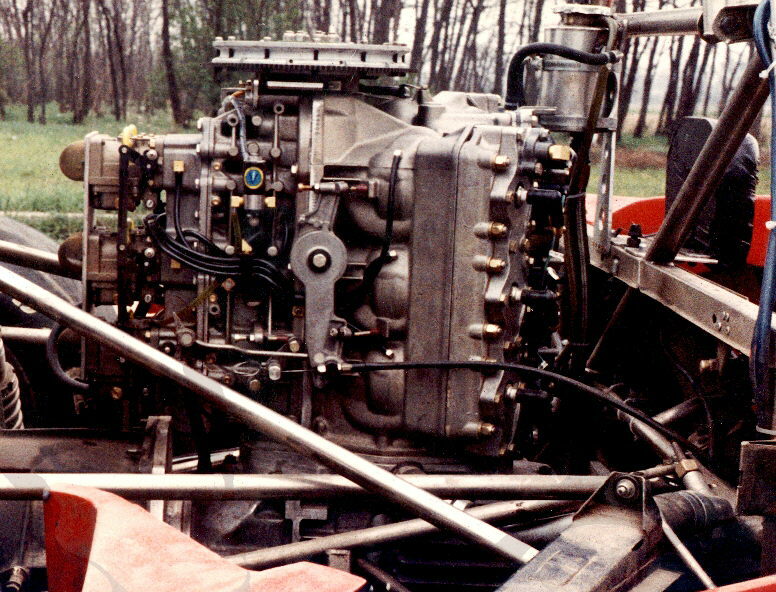 #KingOfTheMountain – The EFI Mercury V6 powered Lola T294. 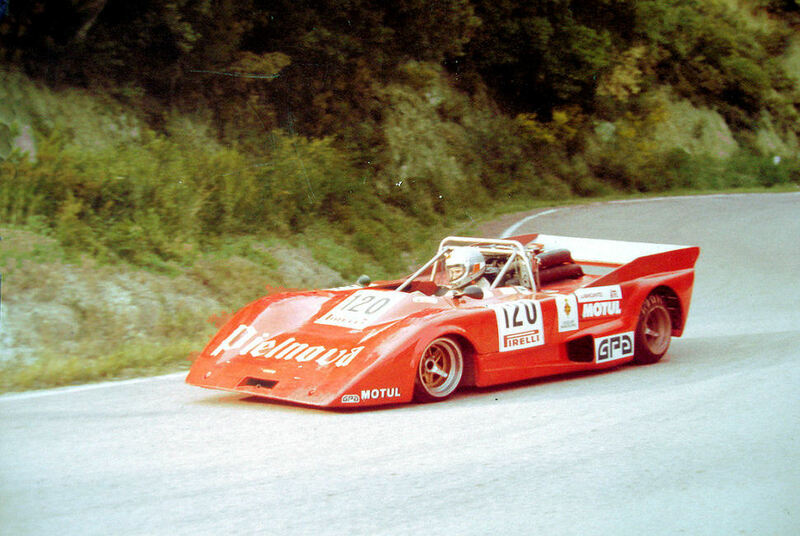 A regular entrant in the Spanish hill climb championship, Pietro’s car sported the usual top class BMW M12/7 engine which he decided to change for an engine sourced from the Powerboat Fonda Series in the early eighties, a EFI-Mercury 2000cc 2-stroke V6. For whatever reason, a better engine if you listen to the man..! But actually that was the final version as he first started with a simple 6 carburetor version of the engine which then evolved to an EFI system managed by the driver in order to accomodate the changes in air pressure due to the ups and downs of the road. 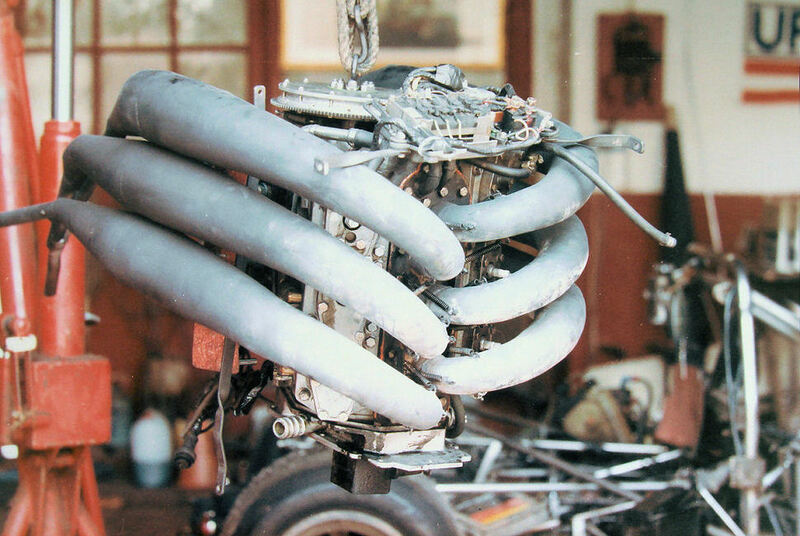 Other development went in the exhaust system as this was very important to get maximum power and torque out of 2-stroke engine, various single cylinder pipes, 3 in 1, etc… were tested in order to achieve the 36MKg of maximum torque. The engine position, vertical, was required because of the engine conception itself and lubrication through the fuel mixture needed which made it impossible to lower it. Another factor was the size of the car of course and the extra modification it would have required. Remember, this was a one man attempt ! Extra cooling was also required with additional radiators fitted but not sufficient to meet the normal running conditions of an engine designed for speedboats. Pistons were changed in order to accomodate the “floating” caused by this extra heat. Pretty tight but it did work with the usual low clearance of any 2-stroke engine. A rear view of the car. The engine and exhaust assembly. 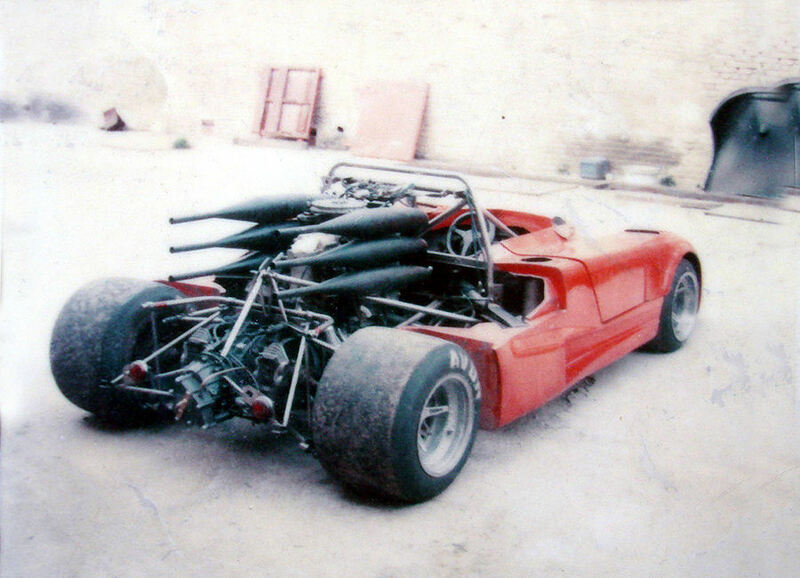 The car did win some hillclimbs during its first year of racing but unfortunately, the spanish authorities changed the rules for the coming one requiring a 4-stroke engine to be mandatory after the other drivers complained… A sad end to Pietro’s adventure but it must have been a crazy piece of kit ! And the sound !!! Previous Previous post: #EightiesMadness – The Ultimate Porsche, the 959. Next Next post: #Focus – Nissan’s World Sports Car failed attempt, the P35.